When it comes to roofing replacement, one of the most important decision a homeowner will make is selecting a roofing contractor for the job. The success of your re-roofing project depends largely on who you pick and what they bring to the table, therefore, it is important to take your time and know what to look for in a roofer. Replacing a roof can be an overwhelming process and the search for the right roofer rather daunting, but you won’t regret the time you spend researching, checking references or verifying qualifications. If you do your homework right, you won’t have to worry about re-roofing for decades to come. and remember, compare contractors based on long-term value, not simply short-term cost. 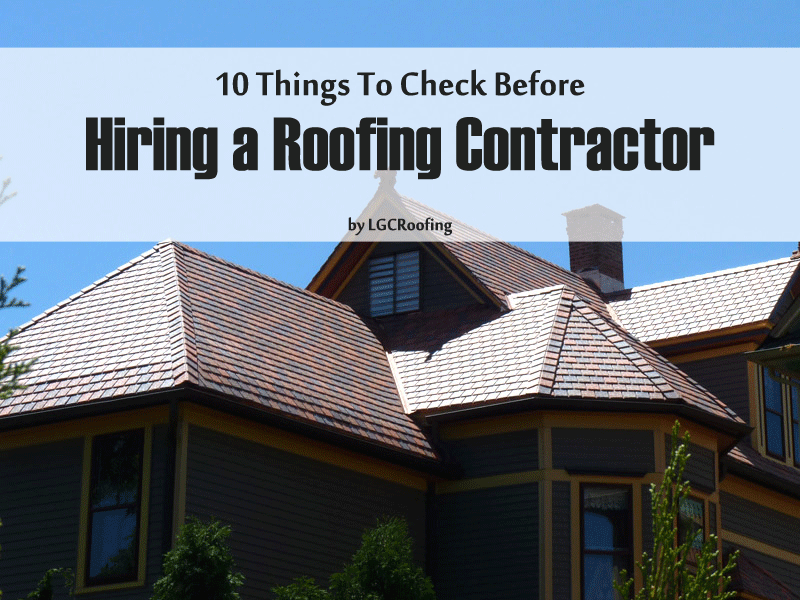 Here are several tips for finding the best contractor for your roofing job. Insurance. Make sure the contractor can provide proof of both indemnity and worker’s compensation insurance. Ask to see them; note the coverage-end dates to ensure policies will be in effect through the duration of your job. Don’t be afraid to ask your prospective contractor for proof of licensing, bonding, liability insurance, workers’ comp and industry certifications. Permits. A knowledgeable roofer will be familiar with the permitting process in your area, and should include any related costs in their bid. Warranties. A reputable roofer will provide warranties covering both materials and workmanship. When it comes to materials warranty, its duration varies from company to company and depends on the type of material you choose. A workmanship warranty covers the installation of the materials, but not the materials themselves, or the components used to install them. Some contractors also offer systems warranties that cover each and every component that is installed in your roof. These are comprehensive and provide you with excellent protection. Local address. Beware the “traveling roofing contractor”, or fly-by companies that spring up one day only to disappear next week. Only work with an established professional with a permanent address in your area. Written estimates. Look for a comprehensive estimate of work, including materials, labor, permits, warranties, disposal of old materials, and clean-up. Getting multiple roofing estimates is key – only when facing comparable choices, you will know who’s the best fit for the job and what the project is going to involve. References. An experienced roofer should be able to provide several local references. Once you get them, follow-up with phone calls. Checking online reviews is also a good idea. Breadth and depth of knowledge. Look for a contractor with enough knowledge and experience to consult with you about the various options available to you. Qualifications. We’re not just talking about a valid contractor’s license, which is obviously a must. Be sure your roofer is actually qualified to install your roof as well. This may sound obvious, but some roofing manufacturers require certification (DaVinci, for example) and training in the installation of their products. Trade organization membership. Most established roofing contractors will be members of relevant trade organizations, adhering to strict rules, regulations, and codes of ethics. Good standing with the local Better Business Bureau (BBB) is also a plus. Clean-up. Be sure that any bid you receive includes removal of any old and excess material, as well as a clean-up of the site upon completion. If you’re considering replacing your old roof, give LGC Roofing a call. We are a leading NJ and PA roofing company with over 30 years of experience in installing all types of roofs, from shingle to metal and slate. Family owned and operated, we’re fully licensed and insured to handle all types of roofing replacements. 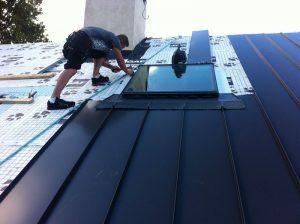 Thanks for sharing your article about hiring a roofing contractor. I couldn’t agree more with what you said about how you should make sure that you will hire people with the right qualifications to install your roof. The shingles of the roof on my parents’ house are mostly damaged. We’re looking to find a qualified contractor that can do the job right the first time. For me, a qualified roofer can guarantee you that they’re doing the job right. I will make sure to remember your tips. I think it is so important for them to have insurance. I would want a roofing contractor to have insurance just in case. I will be checking online if I get my roof redone ever if the contractor works with insurance.